Gold sovereigns were originally struck in 1817 and circulated throughout Great Britain and other parts of the world. These days, gold sovereigns are still one of the most recognisable and sought after bullion coins, and many people who own or buy gold sovereigns do so as an investment for resale later on. If you happen to be one of those people, this page will give you all the information you need about selling gold sovereigns for cash. 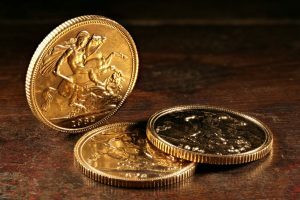 Price of Gold Sovereigns To Sell – How Much Are Your Coins Worth? As the owner of a gold sovereign, you will have undoubtedly roamed the internet to find out how much your coin is worth. But, as you probably know by now, establishing a definitive value isn’t as straightforward as you would think. That’s why we’re here to help! The face value of a sovereign is £1, but as an uncirculated coin, its value is calculated by multiplying the pure gold content (7.98g) by the current value of gold — this is known as a coin’s ‘bullion value’. Using our Gold Value Calculator, you can check the estimated value of gold sovereign prices today. In this case, a full gold sovereign is worth around £202.99. Where to Sell Gold Sovereign? When it comes to selling gold sovereigns for cash, it’s always a good idea to seek the advice of an expert. This will not only help you to get the best price for gold sovereigns, but it will also give you some more insight into their worth and your best options for making money. This will come in handy for future sales if you happen to be something of an avid coin collector. It’s also common for sovereign coins to be used as jewellery, either as a pendant or as the centerpiece of a ring with a mount. If you own a sovereign ring, you will be able to sell it for the value of the coin, as well as however much the ring and mount are worth. Here at Post My Gold, we have in-house experts who will be able to take a look at your gold sovereigns and provide a market-leading quote. Sending your items to us is a simple process thanks to our FREE gold packs, which provides you with a pre-paid envelope that’s fully insured by Royal Mail. If you choose to accept our offer, great! If not, no problem — we will return your gold sovereign(s) free of charge. 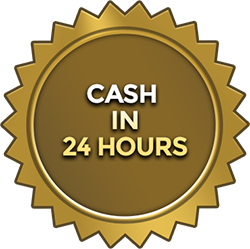 We also offer a price match guarantee, so we’ll happily match any offer you receive from other companies and ensure you won’t find a better price anywhere else. Do you own any gold sovereigns and would like to sell them for a market-leading profit? Get in touch today to receive your FREE Gold Pack for a fair and swift financial return.